Few things are more iconic than the image of a family, a home and a big dog running around with the kids. In fact, according to the ASPCA, approximately 44% of homes in the United States have a dog. But, that doesn’t mean all of these families are happy with their pets. Unfortunately, many families choose a big dog breed that doesn’t fit well with their family, which leads to frustration and regret. And while this is less-than-ideal for those with small dogs, it is even more difficult for families who choose the wrong large dog breeds. Big dogs can be a bit of a handful and many live for a decade or more. So, it is clearly important to select your new pet carefully, to ensure you cherish each moment and feel fulfilled by your four-footed family member. We’ll try to help you with this decision below. First, we’ll talk about what we mean by “large dog breeds,” and then explain some of the characteristics that make different large breeds well-suited for family life. Finally, we will recommend 11 of the best large dog breeds for families and list some of the important things you’ll need to do before bringing your new pet home. What Is a “Big” Dog Breed? But, here at Canine Weekly, we consider dogs between 50 and 90 pounds to be “large,” while we typically use the term “giant” when referring to dogs that are over 90 pounds. However, there’s plenty of crossover and some breeds commonly fall into two different categories. For example, very small Labrador retrievers may weigh about 45 pounds or so, and really big ones may approach 100 pounds. However, because most Labradors weigh between 50 and 90 pounds, we consider them to be a “large” or “big” breed. Most of the best large family dogs exhibit several of the traits detailed below – a couple of breeds even satisfy every characteristic on the list. But be sure to keep your family’s characteristics in mind, as some of these criteria will surely be more important to you than others. Friendliness seems like an obvious trait you’d want in any dog, but it is especially important for families that want to add a big dog breed to their home. You want a dog that gets along well with everyone you meet at the park, the other dogs you encounter during walks, and with friends and family that come over to visit. Note that this does not mean that large breeds can’t be protective of their home and family – many are. But, they must be able to recognize the differences between friendly strangers and those who may pose a threat. They should also be quick to take cues from you when meeting new people. Affectionate dogs tend to follow their people everywhere and love spending time in their company. They’re quick to hop up on your lap (despite their size) and slobbery kisses are rarely in short supply. Most of the popular big dogs are pretty affectionate, but there are also a few exceptions. Chows, Shar-Peis, and a few other big dog breeds are more reserved and tend to keep to themselves a bit more than the average Labrador or Golden Retriever. This isn’t always a bad thing, but most families (especially those with children) will appreciate breeds that are more affectionate than average. Many families make the unpleasant discovery that one or more of the people in the home are allergic to dogs. In some cases, dog allergies can be severe enough that you’ll be forced to consider re-homing your new pet. You can do a few things to help reduce the amount of fur and dander in your home, but the best way to avoid allergy-related problems is by selecting a “hypoallergenic” dog breed. No breed is truly “hypoallergenic” as all dogs shed their fur, but some shed much less hair than others. Many also simply appear to trigger fewer allergic reactions than others. If you’d like to read more about dogs that don’t shed very much and are generally good for those with allergies, check out our article on breeds that don’t shed hair. Most well-treated dogs are loyal to their pack – it’s a core characteristic of domestic dogs. But, some dogs are much more loyal than others, and super-loyal dogs are often among the most rewarding breeds to add to your family. Many of the breeds with guarding or protection-oriented histories are especially loyal, as it was an important trait that was reinforced during the development of the breed. Note that some large breed dogs tend to be loyal to one person in the family more than others, while other dogs seem to treat all members of the family equally. Either alternative is acceptable, just consider what would be best for your family before making your choice. Some big dogs are content to sit around all day and get most of the exercise they require by chasing squirrels in the backyard or going for a walk or two. Conversely, other breeds are famous for their seemingly inexhaustible reservoirs of energy. Neither end of the spectrum is inherently better than the other, but it is imperative that you select a breed that has an appropriate energy level for your family. Many families – particularly those with children – will enjoy a high-energy breed and will find it easy to keep their dog properly exercised. 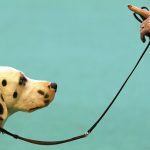 However, a breed’s exercise requirements are not something to take lightly. High-energy breeds that don’t get the opportunity to wear themselves out on a daily basis often develop destructive behaviors. Intelligent dogs are often easier to train than those that aren’t terribly sharp, and they often provide more rewarding interactions than their less-intelligent counterparts too. Smart canines typically cause fewer problems with things like house training and it is easy for the kids to teach them cute tricks. However, intelligence isn’t always a good thing, and there’s something to be said for dogs who could be best described as “simple.” Smart dogs are often more likely to experience separation anxiety, and they can get into quite a bit of mischief – particularly when they’re left alone. A few otherwise-awesome large dog breeds have long or dense coats that require regular grooming and maintenance. Pulis, Komondors and Bearded Collies, for example, will need to visit the groomer several times each year (unless you want to learn how to groom your dog at home). This, unfortunately, makes many of these breeds a poor choice for families. Instead, you want a dog who can go from the park to the couch without dragging along a metric ton of dirt in his fur. And you’ll likely want to limit your big dog’s grooming needs to the occasional bath and routine nail-clippings. Playful dogs are usually up for anything fun that involves their family. They’re ready to retrieve a ball, go for a swim or play hide-and-seek with the kids on a rainy day. Playful dogs can occasionally drive you crazy with their constant desire for fun and games, but they’ll probably make you smile more than dogs who prefer to just lay around. Note that there’s nothing wrong with avoiding big playful dog breeds if you have a low-key family who prefers calm to chaos. Even the most laid-back of breeds will typically engage in a bit of play from time to time, so don’t hesitate to select a breed that isn’t particularly playful if that suits your family better. Even a big dog that barely exceeds the 50-pound mark can inflict serious (if accidental) injuries. It doesn’t take much to knock over a toddler and some dogs may get a bit rough while playing with older kids. But the best big dogs for kids are usually exceedingly gentle and don’t get carried away when excited. This is obviously most important for families with very young children, or those who are inclined to add a big dog to their family. Remember that most big breeds retain their puppy-like demeanor for long after they’ve reached their adult size, so it is wise to select a gentle breed whenever possible. 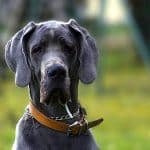 While any list like the one that follows is inherently subjective, the following are easily among the best big dogs for kids and families, and few authorities would dispute the ones that comprise this list. The most popular breed in the United States, the Labrador retriever is perhaps the best family dog in the world. Lovable, loyal and goofy, the Labrador retriever is the quintessential large family dog. 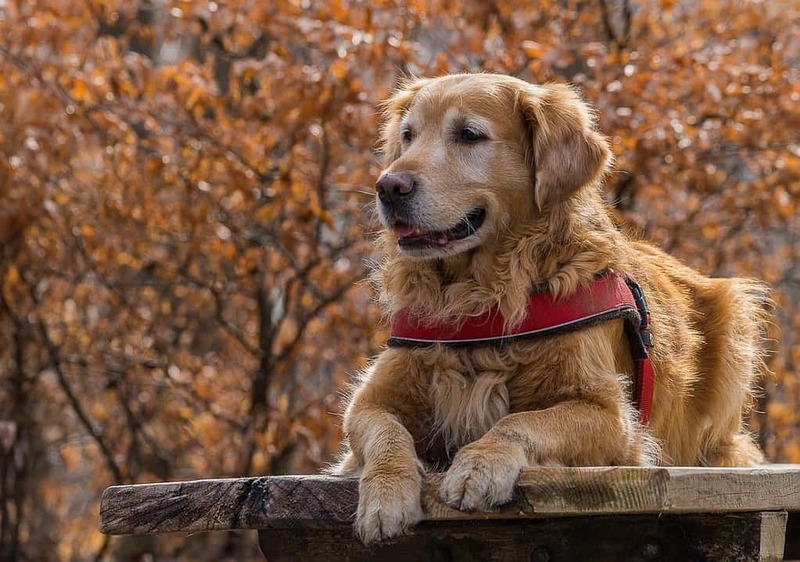 However, these intelligent and driven dogs also excel at a number of jobs, from police work to therapeutic tasks, and many hunters still consider them the best retrievers in the business. Labs are very gentle and good-natured, and they usually get along well with most people and other dogs (although some may be aggressive toward cats). They make great pets for families with children, although they’re occasionally a bit rambunctious, which can cause problems for toddlers. Labs are usually very easy to train, and they love learning new tricks and commands. 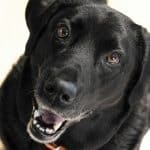 Labs are high-energy dogs, who will play fetch until you grow tired, so you’ll need to be willing to spend plenty of time playing with them – under exercised Labs can be a bit of a handful. They also shed pretty heavily, so they aren’t the ideal choice for homes with allergy sufferers. Golden retrievers are very similar to Labrador retrievers, as they’re gentle, loving and sensitive. They are one of the smartest breeds in the world and even novice owners will usually find them easy to train. They’re also very playful pups, who love swimming, playing fetch or running around in the backyard with the kids. Golden retrievers are amazingly friendly dogs, who consider strangers to be friends they’ve yet to meet. They rarely exhibit any aggression at all (aside from their propensity to chase squirrels and other small critters), and most will get along with the other pets in your home. Golden retrievers do have a high energy level, so you’ll need to be willing to go on regular walks and take them to the park frequently. The biggest challenge golden retrievers usually present is their tendency to shed heavily. This can cause problems for those with allergies, and it will often leave all of your belongings coated in a thick layer of fur. Additionally, golden retrievers often exhibit separation anxiety, so they aren’t a good choice for families that spend lots of time away from the home. If you find yourself trying to decide between a golden retriever and a Lab, check out our article on Labs vs Golden Retrievers that examines the differences between the two. Most people think of poodles as a small breed, but these dogs actually come in three different official sizes: toy, miniature and standard. And, while toy and miniature poodles are indeed tiny pups, standard poodles usually weigh about 50 to 70 pounds and stand 22 inches tall at the shoulder. Poodles are incredibly intelligent dogs, who are often easy to train. They are also loving, sensitive and gentle dogs that make great big dogs for kids. However, it is the poodle’s “hypoallergenic” coat that makes them a favorite of many families. Additionally, they are pretty calm and tidy dogs, who often adapt to apartment life well. Poodles don’t present many challenges for owners, and they are one of the best breeds for first-time owners. However, they do bond strongly with their people, and they can become quite anxious when left alone. They also require more exercise than many people anticipate, so be sure you are ready to take frequent trips to the park with your poodle. One of the most easily recognized breeds on our list, the basset hound’s long ears, droopy face and tubby little body are unmistakable. And although they may not look very big, most basset hounds weigh about 50 or 60 pounds, which allows them to qualify as a “large” breed. Basset hounds are easily one of the friendliest dogs on our list. They make quick friends with everybody they meet and usually get along with other dogs well (many even tolerate cats too). They are fantastic dogs for kids, and they’ll love tagging along with them all day long. They don’t require a lot of exercise, and they are pretty well-suited for life in an apartment or a small home. However, you’ll need to be comfortable with a dog that sheds and drools constantly if you decide to add a basset hound to your family. They are also susceptible to a number of health problems, so it is important to purchase your new pet from a high-quality breeder to avoid many of the problems that characteristically plague the breed. Many readers may be shocked to see the infamous pit bull on our list of best big dog breeds for families, but this is likely due to the prevalence of misinformation surrounding the breed. In actuality, pit bulls are remarkably wonderful dogs who are gentle and loving. Contrary to popular perception, pit bulls are one of the friendliest breeds available – many security experts even consider them too friendly for guard-dog work. But pit bulls aren’t just friendly, they’re also smart dogs. They are quite affectionate, gentle with children and bond strongly with their owners. Unfortunately, their tendency to bond with their pack can lead to separation anxiety, so they aren’t a great choice for families on the go. But the single greatest challenge you’ll experience with a pit bull is undoubtedly the need to constantly re-educate people about their nature and deal with biases against the breed. Many places even ban the breed entirely, so be sure to do your homework before adding a pit bull to your family. RELATED: Blue Nose Pit Bull: A Good Fit for Your Family? One of the most familiar big dog breeds in the world, the German shepherd is well suited for work or life as a family pet. Few dogs are as comfortable herding sheep as they are participating in agility trials or learning tricks to please their owners. There is a reason, after all, that they’re the second most popular breed in the United States. German shepherds are loving, loyal and incredibly intelligent canines, who are typically very affectionate with family. They can be a bit protective of their pack when visitors come by, but they’ll quickly make friends once they’ve assessed the situation. They love playing with children, but they can occasionally be a bit aggressive with other pets. The biggest problems German shepherds present include their propensity to shed obscene amounts of hair, which can make them poor choices for allergy-suffering families, and their incredible intelligence, which can cause problems for first-time owners. There isn’t much you can do to address the former problem, but the latter is often easier to overcome with the help of a trainer. Bernese Mountain dogs are gentle, loving, playful and intelligent, and they have plenty of devotees. They barely qualify as a “large” breed – many exceed 100 pounds in weight — but, because plenty of female Bernese Mountain dogs remain below the 90-pound mark, we’ve included them on our list. Hailing from Switzerland, Bernese Mountain dogs were bred to perform a number of tasks on the farm. This required them to have a sharp intellect and a strong work ethic – traits that also make them excellent family dogs. They are very easy to train, and they spend most of their lives trying to figure out ways to please their family. Bernese Mountain dogs drool and shed pretty heavily, and they don’t have an especially great health record. And while their tendency to bond strongly with their families is often a good thing, it also makes them susceptible to separation anxiety, so they aren’t a good choice for families that aren’t home for long periods of time. The English bulldog (note that many drop the “English” and simply call these canines “bulldogs”) is a lovable and lazy lump that makes a great choice for low-key families who want a low-energy dog. Bulldogs may look pretty small – they typically stand only 12 to 15 inches at the shoulder – but they’re pretty hefty animals, who often exceed our 50-pound threshold. Despite their grumpy appearance, bulldogs are typically very friendly dogs who make friends quickly. They don’t require very much space and they have very low exercise requirements, so they are well-suited for couch-potato families who don’t want to trek down to the park three times a day. They also tolerate being alone more than many other dogs do, so they’re also good dog breeds for families who work long hours. However, Bulldogs do present a few challenges. They don’t get along with other dogs very well, so they aren’t always a good option for multi-pet homes. Bulldogs aren’t especially intelligent, so they aren’t a good option for owners who want to teach their dog a lot of tricks and commands. They also drool quite a bit, which many people find off-putting. Doberman pinschers are an intimidating-looking breed, but as anyone who’s met one already knows, they’re really big softies. In fact, Dobermans are one of the most sensitive large breed dogs around and it is important to use a firm, yet gentle approach when training them. You must instill a proper family hierarchy, but you must avoid treating them harshly in the process. Doberman pinschers are usually fantastic big dogs for kids, as they’re protective yet gentle, and they love playing. They don’t shed very much, which makes them a pretty good choice for those with allergies, and they’re generally healthy dogs, which is good for owners who’d like to spend as little time (and money) in the vet’s office as possible. Dobermans certainly aren’t ideal for all owners. Aside from the training challenges mentioned above, you’ll also have to get used to people being a bit nervous around your pup, thanks to the mistaken ideas many people have about the breed. They’re also a bit clingy and won’t enjoy being left along very often. Portuguese water dogs are barely big enough to qualify for a list of the best “large” family dogs, but many do exceed our 50-pound threshold. More importantly, they’re wonderful dogs who exhibit a variety of traits that make them a great choice for most families. One of the most appealing traits of Portuguese water dogs is their “hypoallergenic” nature. They don’t shed very much and rarely cause problems for allergy sufferers. But they also have a number of great personality traits too. For example, Portuguese water dogs are very intelligent and easy to train – you’ll have them sitting, rolling over and fetching a tennis ball in no time. They’re also one of the most loving and loyal breeds around, and they usually get along fabulously with children. Portuguese water dogs are, however, a bit reserved around strangers, but they warm up to most new people after a brief time. Their energy levels are also off the charts, which can cause problems for families who don’t like frequent trips to the park, and they don’t like to be left alone for long periods of time. The Siberian husky is another breed that barely squeaks into the “large” category – most weigh between about 40 and 60 pounds. But, they usually stand at least 20 inches tall at the shoulder, and their long, furry coats make them appear larger than they actually are. Given this, and the litany of traits they possess that make them great large family dogs, we’re including them on the list. Most dog-lovers find huskies to be one of the most beautiful dogs in the world, and they have a very wolf-like appearance, which turns heads wherever they go. They are also incredibly playful, loving and friendly with nearly everyone they meet. However, Huskies aren’t perfect for all families. They have ridiculous amounts of energy, which many families will find hard to exhaust. This can lead to destructive behaviors, such as chewing your belongings or knocking over trash cans (and spreading the contents around the house). They also shed very heavily, so they’re a bad choice for families with dog allergies. No matter what type of dog you plan on adding to your home, you must think carefully about your choice. A variety of working dog breeds reach large sizes and make wonderful pets. Most have very high energy levels and require plenty of exercise so be sure that you can provide plenty of activity for your new dog before you select a working breed. The Alaskan Malamute was officially recognized by the AKC (American Kennel Club) in 1935 and is the oldest and largest breed of Arctic sled dogs. Malamutes have incredible strength and endurance. Believed to be descendants of wolf-dogs who crossed the Bering Strait over 4,000 years ago, most malamutes stand between 22 to 26 inches in height and weigh between 65 and 95 pounds. The Samoyed is a primitive breed, first recognized by the AKC in 1906. These fantastically furred dogs were bred to pull sleds in cold climates, such as that found in the Siberian town of Oymyakon, where the temperatures dropped as low as -60 degrees. Though these dogs are beautiful, they certainly aren’t prissy — Samoyeds are hard-working dogs, who’ve proven to be remarkably effective performing a variety of tasks. Relatively small by “large dog breed” standards, Samoyeds stand between 19 to 24 inches in height, and typically weigh between 45 and 65 pounds. The Saint Bernard is an old breed, who was officially recognized by the AKC in 1885. A truly gigantic breed, these dogs can stand between 28 and 31 inches in height and weigh more than 250 pounds. Interestingly, Saint Bernards have looked different at various points in their history. In fact, Saint Bernards haven’t always had thick fur. Before the 1830s, these dogs had short hair. Saint Bernards were originally used by monks to find and rescue injured travelers. However, they’ve also been used to perform other tasks; for example, their size allows them to excel in guard-dog work. Because they are required to not only intimidate intruders but physically impose their will, most guarding breeds are quite large. Most reach more than 50 pounds and several falls into the “giant dog breed” category. Guard dogs were developed to help protect homes, families, livestock, and valuables from a variety of threats and thieves. This requires them to be not only brave and protective but loving and loyal too. Bullmastiffs were officially recognized by the AKC in 1934. They are strong and powerful dogs, who are also intelligent, loyal and eager to please their owners. Bullmastiffs were first used in the 1860s to guard English estates and game reservations, but they excel in a variety of guarding contexts. Bullmastiffs stand between 25 to 27 inches in height and weigh between 90 and 135 pounds. Doberman Pinschers were officially recognized by the AKC in 1908. Tracing their origins to 19th-century Germany, these muscular dogs are known for being very sensitive, yet fearless in the face of danger. Dobermans are somewhat slender and “pointy” by guard dog standards, but they still retain an imposing appearance, which belies the gentle love they share with their families. Dobermans stand between 24 to 27 inches in height and weigh about 80 to 100 pounds. Most large dog breeds are moderate- to heavy-shedders. However, there are a few big dogs that don’t shed very much. Wire-haired pointing Griffons were officially recognized by the AKC in 1887. Originally bred as all-terrain hunting dogs, Griffons have a coarse, messy-looking double coat that protects them from briars and underbrush. Their medium-length coat sheds very little and only requires occasional grooming. Wire-haired pointing Griffons stand between 20 to 24 inches in height and weigh up to 60 pounds. Salukis are short-haired dogs, who were officially recognized by the AKC in 1929. The former royal dog breed of Egypt, Salukis were originally developed to accompany hunters. Most owners keep their Saluki’s hair short, although some prefer to leave the fur on their legs long and feathered. Salukis require plenty of exercise and proper obedience training, but most owners find that they make great companions. They stand between 18 to 24 inches in height and weigh up to 60 pounds. Komondors were officially recognized by the AKC in 1937. These mop-like dogs are instantly recognizable, and they leave quite an impression on anyone who meets one. A relatively rare breed, Komondors were originally developed to live alongside livestock (primarily sheep, which they were bred to resemble) and protect them from predators. However, they are primarily used as companion dogs today. Komondors stand between 25 to 30 inches in height, and they can weigh up to 130 pounds. A lot of big dog breeds have very high energy levels and require copious amounts of exercise to remain healthy and happy. Some breeds may require an hour or more of vigorous activity each day. But there are a few options for owners who do not have the time or inclination to spend this much time at the park with their dog. And while they’ll still require a couple of walks each day, a few breeds are usually content to hang out with you on the couch. Chow chows (or simply “chows” as they are often called) were officially recognized by the AKC in 1903. One of only two breeds with a blue-black tongue, chows are more compact than their fluffy coats make them appear. Chows have deeply set almond-shaped eyes that some find intimidating. In actuality, most chows are fairly self-centered and unlikely to pay attention to passersby. Chows usually measure between 19 and 22 inches tall, and they can weigh up to 75 pounds. Great Danes are one of the world’s largest breeds. Officially recognized by the AKC in 1887, Great Danes were bred to hunt boar in the forests and fields of Germany. Laid-back and low-key, Great Danes are usually friendly dogs, but they won’t hesitate to put themselves between their family members and a threat. Most Great Danes stand between 23 and 28 inches in height and weigh up to 200 pounds. Irish Wolfhounds were officially recognized by the AKC in 1897. Recognized by most authorities as the tallest breed in the world, Irish Wolfhounds are very large dogs. Unlike many other gigantic breeds that trace their ancestry to mastiff bloodlines, Irish Wolfhounds trace their roots to the sighthound family tree — a group that includes greyhounds, among others. This sighthound background makes Irish Wolfhounds surprisingly fast, and it also gives them a pretty serious prey drive. They stand between 28 and 35 inches in height, and they can weigh up to 150 pounds. Neapolitan mastiffs were officially recognized by the AKC in 2004. Once the guard dog of choice for wealthy Italian landowners, most Neapolitan Mastiffs are kept as pets in the modern world. Despite their droopy appearance and baggy skin, Neapolitan Mastiffs are reserved and proud dogs, who brim with dignity befitting their noble roots. Neapolitan Mastiffs are very large dogs, who stand between 23 to 28 inches at the shoulder. They typically weigh between 90 and 150 pounds. It is important to select a child-friendly breed if you have kids, but because many big dog breeds are exceptionally good with kids, this is rarely difficult. You should never leave a small child unattended with a dog, and it is important to teach children the proper way to interact with their pets. However, the following breeds are typically very gentle and tolerant of youngsters. READ MORE: Are German Shepherds Good With Kids? The boxer is a fun-loving, sensitive and friendly breed, who was first recognized by the AKC in 1904. Originally bred to be a medium-sized guard dog, boxers are typically kept as pets in the modern world. Boxers are smart, easy to train and affectionate, but they do not like being left alone for long periods of time — they want to be with their pack as much as possible. Accordingly, they are best suited for families that like to hang out around the house. Most boxers stand between 21 and 25 inches tall at the shoulder, and they typically weigh between 65 and 85 pounds. One of the most popular breeds in the U.S., the Golden Retriever was first recognized by the AKC in 1925. Although they were originally developed as a hunting breed, Goldens make fantastic family pets. Sensitive, smart, easy to train and eager to please, golden retrievers have a lot going for them. They are generally friendly with everyone they meet and make great playmates for children. Labs, as they are typically called, are one of the most intelligent and easily trained breeds, and they love having a job to perform. Labs are friendly with adults and children alike, and they are often used as therapy dogs due to their loving, gentle nature. First recognized by the AKC in 1886, the Newfoundland is a large and lovable breed, who is among the friendliest dogs in the world. The Newfoundland’s coat is very long and they shed rather heavily, so they aren’t a great choice for owners with allergies. However, those who aren’t bothered by their shedding habit will surely love these sweet and gentle dogs. Newfoundlands occasionally reach very large sizes, but they range between 21 and 29 inches in height. Most weigh about 100 pounds, but some individuals tip the scales at more than 150 pounds. Because large dog breeds take up a lot of space, and most have high energy levels, they can be inappropriate for owners who live in apartments. However, there are a few big dog breeds that won’t mind living in a small space and will adapt well to apartment life. Basset hounds are easy-going and have very modest energy levels — a long daily walk is about all the exercise they need, making them one of the best indoor dog breeds. However, basset hounds love to socialize, so it is a good idea to take them to the dog park as often as possible. Officially recognized by the AKC in 1992, the Shar-Pei has a laid-back personality, which makes them perfect for condos or apartments. They tend to be bond very strongly with one particular person, so they make great companions for those who live alone. Shar-Peis require a few short walks each day, but they aren’t a high-energy breed that requires a lot of exercise. In fact, they are usually happy to just hang out on the couch or sit on the porch and watch the world go by. Shar-Peis are somewhat short, as they usually only reach heights of 18 to 20 inches. However, they are quick thick, and often weigh up to 65 pounds. Greyhounds are one of the fastest breeds in the world, and when they aren’t lounging about with their owners, they love nothing more than going for a run. Greyhounds are often likened to cats, given their fastidious personalities, so they make good pets for those who prefer a tidy home. Although Rhodesian ridgebacks were originally bred for hunting purposes, they lack the high energy levels that are common to most other hunting breeds. This makes them pretty well suited for apartment life. Officially recognized by the AKC in 1955, Rhodesian Ridgebacks can get all of the exercise they need from a few daily walks. However, these are somewhat mischievous dogs, so it pays to give them plenty of toys and stimulation to prevent boredom. Rhodesian ridgebacks stand between 24 to 27 inches in height, and they can weigh up to 90 pounds. → Find a veterinarian before you pick up your dog. You’ll need to work closely with a vet for your dog’s entire life, and it is a good idea to stop by the vet’s office on your way home from the breeder, pet store or shelter. This will give you the best chance of spotting health problems early and it will allow you to go ahead and get your pet’s first round of vaccinations out of the way. Try to pick a vet that is located close to your home, so that you won’t have to travel very far for visits. There are a number of online veterinarian finders, but you can also find a good vet by talking to other owners at the local dog park or by speaking with the breeder or shelter from whom you acquired your new dog. → Purchase a high-quality crate for your new dog. A crate is an invaluable tool that will help with the training and management of your new pet. Crates are not only helpful during the house-breaking process, but they’ll also give you an easy way to keep your dog safe when you can’t directly supervise him. They also provide a convenient “den” in which your dog can hang out when he needs a little peace and quiet. Don’t make the mistake of purchasing a small crate for your soon-to-be big dog. Instead, select a crate that will be appropriate for your dog’s adult size. Just use dividers to scale down the amount of space provided while your pet is young. If you want some help picking a crate, check out our comprehensive review of the best crates for large breed dogs. → Get your new dog an orthopedic mattress. All dogs need a comfortable mattress or bed, and because large breeds are often susceptible to hip and joint problems, it is wise to select an orthopedic mattress, which will cradle and support his body. As when selecting a crate, go ahead and purchase a mattress that will work when your dog reaches his adult size – there’s no reason a small dog can’t use a big bed. We’ve written about orthopedic mattresses for dogs before, so be sure to check out our selection tips and product recommendations before making your purchase. → Provide your dog with plenty of good toys. Dogs of all ages need a few good toys to exercise their chewing instincts and help keep them occupied when they’re bored. And toys are especially important for puppies, who need to be able to chew on things when they’re teething. But when you are choosing toys for a large breed, you’ll want to be sure you pick safe and resilient varieties, which will stand up to your dog’s big jaws and teeth. There are a few different options on the market, but we run down five of the best in our indestructible dog toy buyers’ guide. → Select a high-quality food. 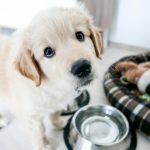 You’ll end up buying quite a bit of food for your new pet over time, so it is not only important to find one that provides the kind of nutrition you want, but also one that provides good value for your dollar. It is also important to select a food that is specifically designed for large breeds, as large breed puppies have different nutritional requirements than small and medium dogs do. 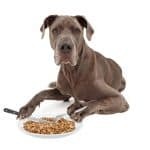 Selecting a food is often challenging for first-time dog owners, but we break down some of the key characteristics to seek when making your choice in our guide to the best large breed dog foods. Have you added a big dog to your family? We’d love to hear all about him or her. Let us know what large dog breed you found to work best for your family and what characteristics were most important to you. Would you have made the same choice again, if given the chance? Have you experienced any challenges you didn’t expect?